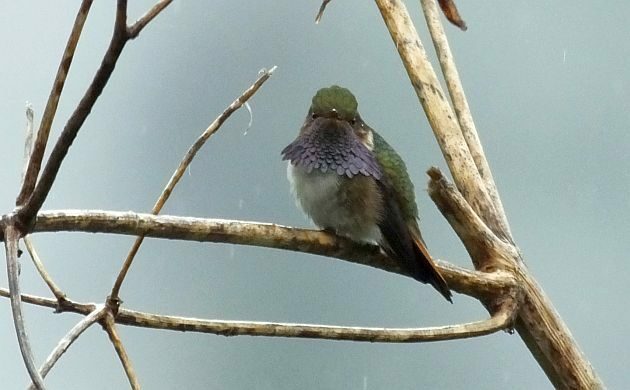 The high mountains in southern Costa Rica are the realm of this sprite. Like other mountain-gems, the White-throated often forages in the understory. 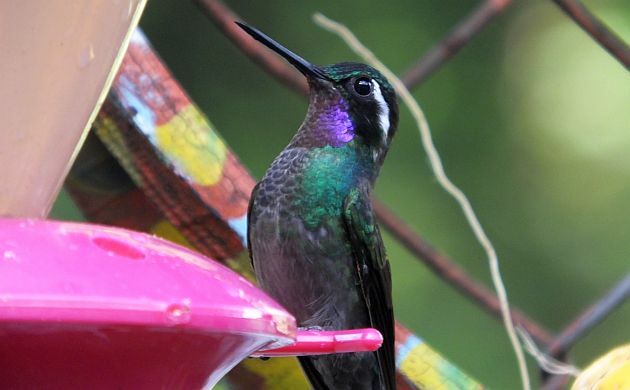 Purple and shining beryl adorn the males of this beautiful little bird. 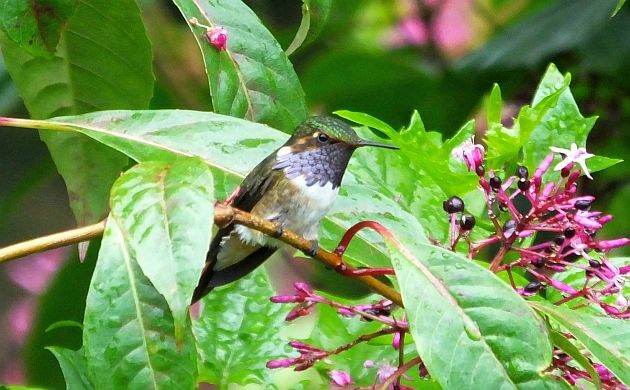 Aggression and adaptability make it one of the more common hummingbird species of middle elevation cloud forest habitats. The third mountain-gem is the trickiest one to find. It is local, only living in a narrow elevational band of misty forest on the Caribbean slope. Oddly enough, DNA studies seem to indicate that it’s closest relative is not any of the other mountain gems, but the following dissimilar bird. 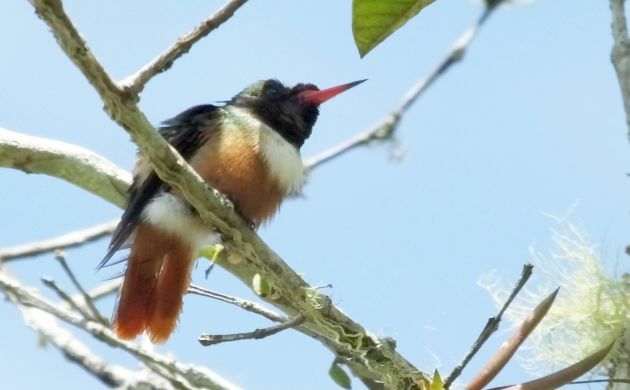 The orange and red colors on the throat of this high elevation species are only revealed in certain lighting situations. 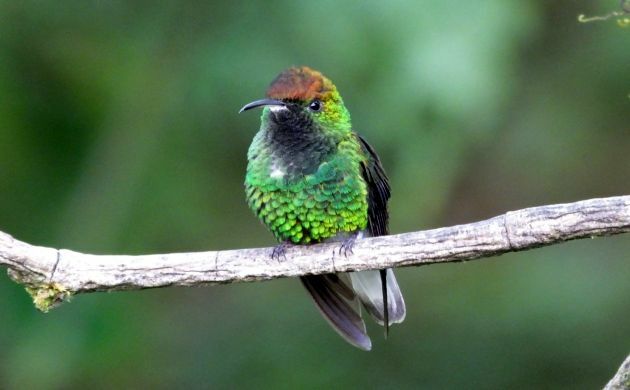 Otherwise, the Fiery-throated Hummingbird looks like a chattering, feisty, dark green hummingbird with a dark cap. 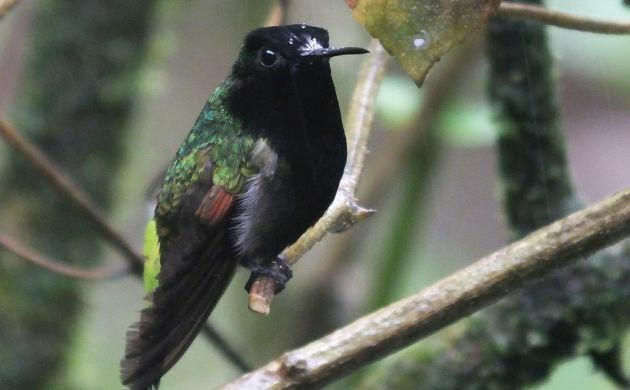 At least it’s common and lacks the “blackish” headed appearance of the Talamanca Hummingbird, another highland regional endemic that shares some of the same habitats. A bird by this name won’t be found in older field guides because it was officially split from the Magnificent Hummingbird in 2017. This means that birders who have enjoyed views of big Magnificents from Arizona can expect an additional check on the life list when they see this species. 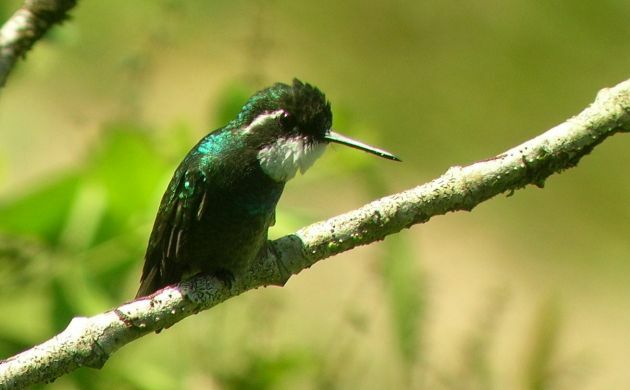 Whereas the Talamanca Hummingbird is one of the largest hummingbirds in the country, this exquisite, fancy little bird is one of the smaller ones. 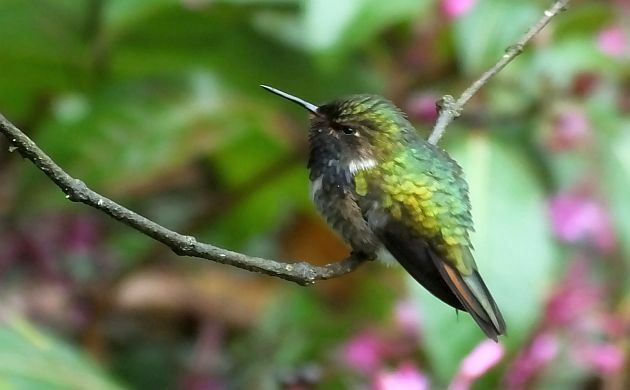 Watch for this much coveted fairy of a bird at small flowers in gardens and other habitats in southern Costa Rica. 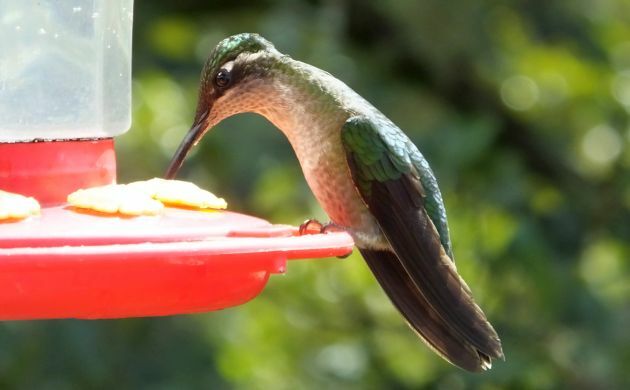 On account of its black underparts, this specialty is close to being the antithesis of a hummingbird. A true black sheep, it’s often found in the same areas as the White-bellied Mountain-gem. It may require more forested habitats, one of the better sites being Tapanti National Park. Most of the other birds on this list are regional endemics. 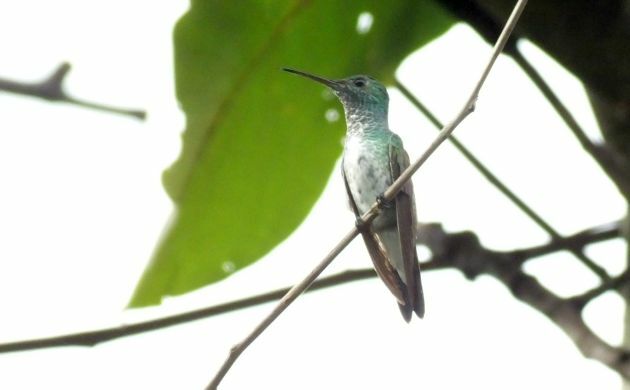 The Mangrove Hummingbird, however, is an honest to goodness endemic only found in mangroves on the Pacific Coast of Costa Rica. Perhaps a relic of times when lower sea levels may have resulted in more extensive areas of mangroves in Central America, modern times have it being very local and with a very limited range. A true gourmand, it requires flowers of the Tea Mangrove to thrive. 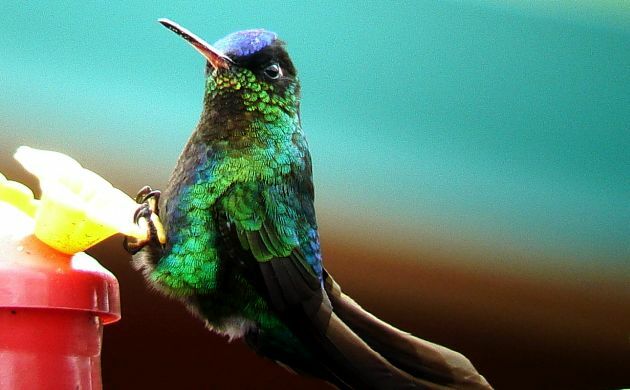 Many a hummingbird charms by way of glittering colors and elaborate plumes but, ironically, this one got the name while mostly lacking those attributes. Beryl-crowned Hummingbird might have been a better name but then again, quite a few Trochilids have one of those field marks too. 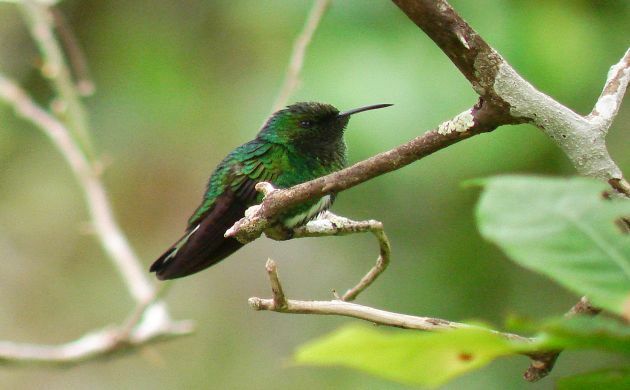 In common with several emerald species, this one is also endemic to a small area. It only lives in middle elevation habitats of southern Costa Rica and western Panama. 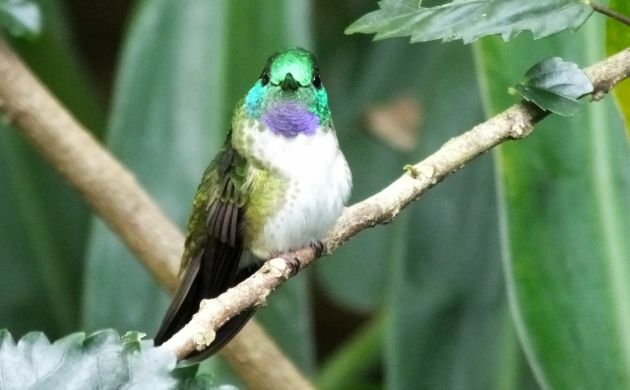 One of the original true endemics of Costa Rica became a very near endemic when a small population was found in Nicaragua. 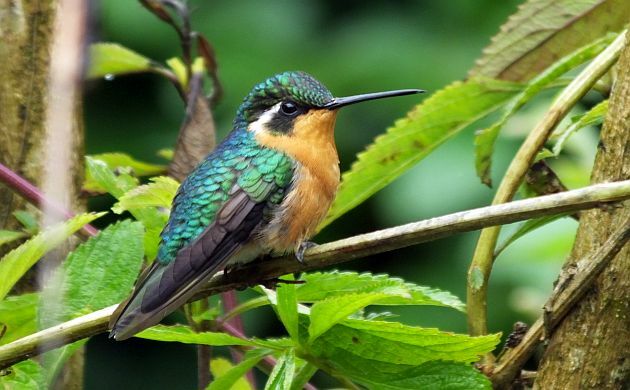 Although it might be small, this glittering bird is as feisty as they get. 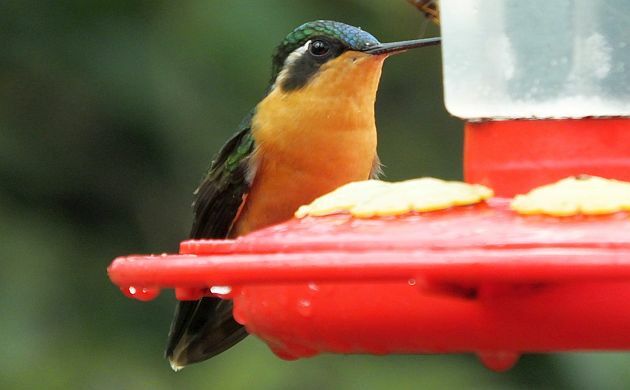 Watch these beauties in action at Monteverde and other middle elevation sites in the northern half of Costa Rica. 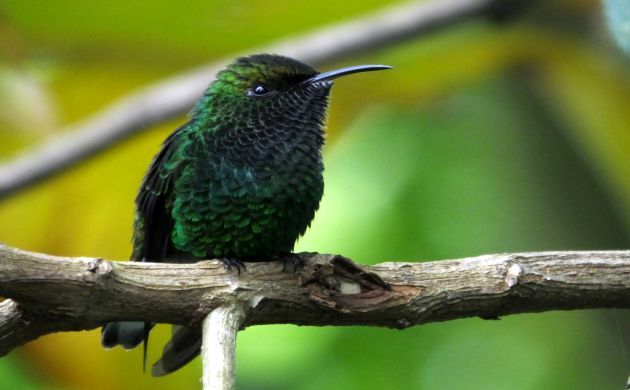 The tiniest bird in Costa Rica is also limited to hedgerows and other edge habitats in middle elevations of Costa Rica and western Panama. It can be nomadic but good sites for it include Savegre and the upper parts of the Central Valley including the road up to Irazu. 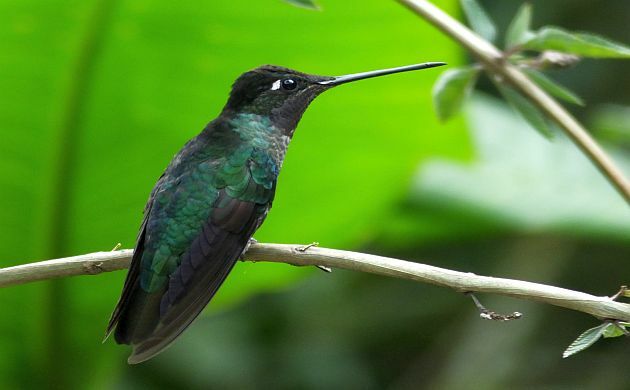 But, not too high because this small hummingbird is replaced by the following species above 2,000 meters. Very similar to the Scintillant, there are three distinct populations, each of which is restricted to different mountain ranges. Although the males have different colored gorgets, at least one study has shown that they should still be considered the same species. What a name and what a bird! This delicate species buzzes like a bee or other insect and pumps its tail up and down as it carefully takes nectar from flowers and feeders. 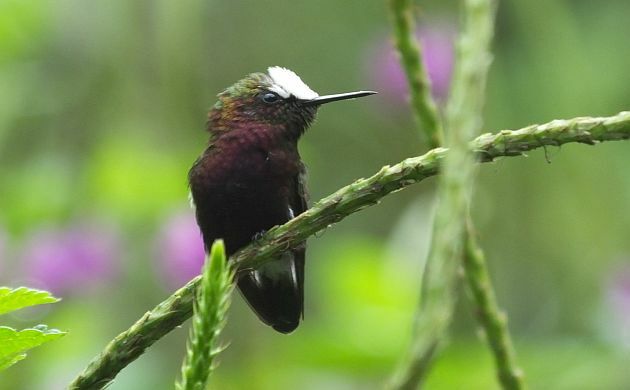 Saving one of the most coveted hummingbirds for last, the Snowcap is one of those rare, surreal birds for which every birder should be given a stipend to see. 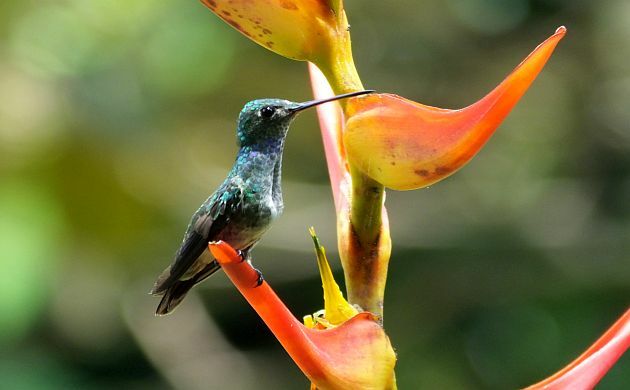 In fact, I dare say that pilgrimages to see all of these and other hummingbirds in Costa Rica would be a wonderful, worthwhile way to spend one’s time. 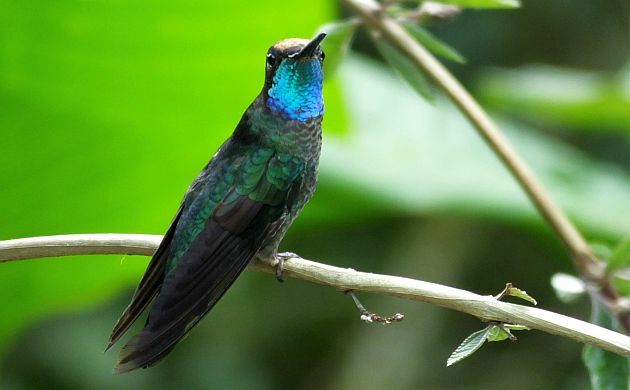 Although this beauty also lives in the forests of Honduras, Nicaragua, and western Panama, it is most accessible in Costa Rica. 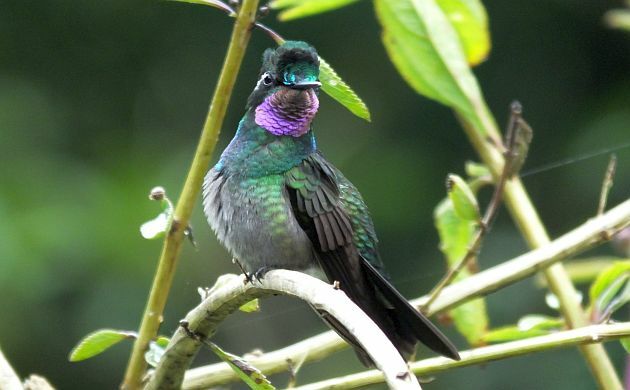 Three of the best sites are Rancho Naturalista, El Copal, and El Tapir. 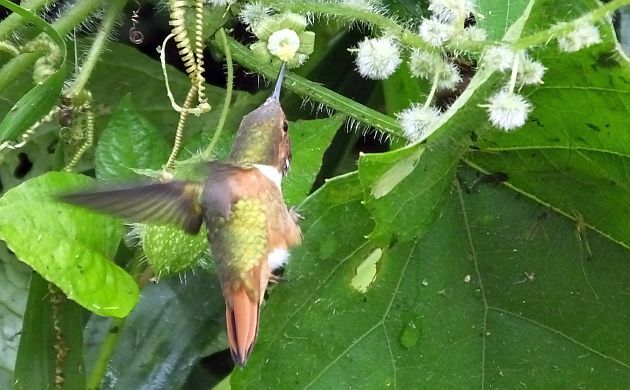 Nice shot Patrick, i just love the every angle of hummingbird you took. Hummingbird is so cute and wonderful bird. 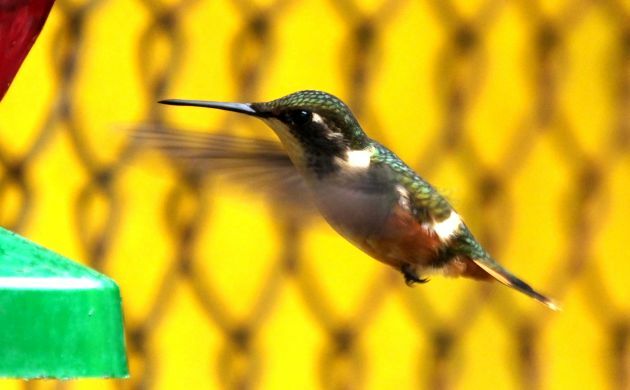 i hadn’t any idea of where it founds and originated, just knew its the most tiniest and fast bird in the world, now i have known different kinds of hummingbird through your article. Costa rica has this kind of beauty, it really awesome. Such an amazing for bird, as i am a huge fan of bird. In winter in our zone so many foreign birds come and we have a group just take DSLR and go ahead for birding shoot. Those days are amazing, i wish i could capture the beauty. keep it up and thanks again. WOW! That really fuels my desire to get as many of those as possible when I finally make it down there in October! Great post, and photos.